The Fourier domain method is used as a measuring method thar features high-speed superior tissue penetration. Equipped with a search function that automatically detects a measurable point even when the crystal lens is unclear. The ring cone method is used to measure the radius of corneal curvature. In addition to the ø3.0 mm position measured by a general keratometer, ø2.5 mm and ø2.0 mm positions are also simultaneously measured. in the corneal shape before and after the surgery. It is also equipment with a function that supports the axis where the toric intraocular lens is to be inserted in the cataract surgery. The OA-2000 is standard equipped with mine IOL power formulas, including two formulas for eyes after LASIK surgery. Up to 15 types of lens can be registred. 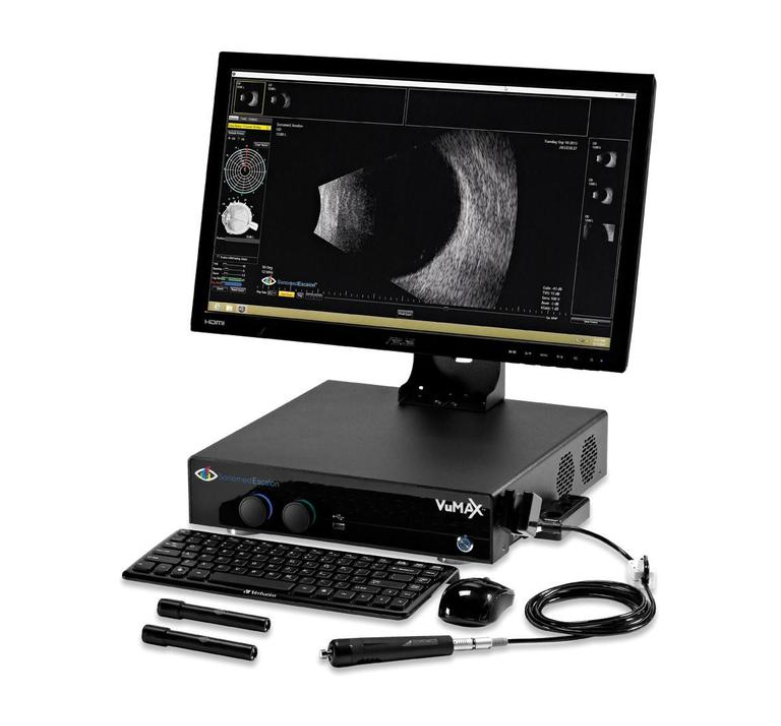 In spite of a size that allows the unit to be installed on a compact optical bench, it is equipped with a 10.4-inch large monitor with a tilting function that adjusts the position to the level of physician´s eyes. Simply touching the center of the pupil displayed on the monitor screen begins alignment. Measurement stars inmediately via the Auto Alignment and Auto Short functions. 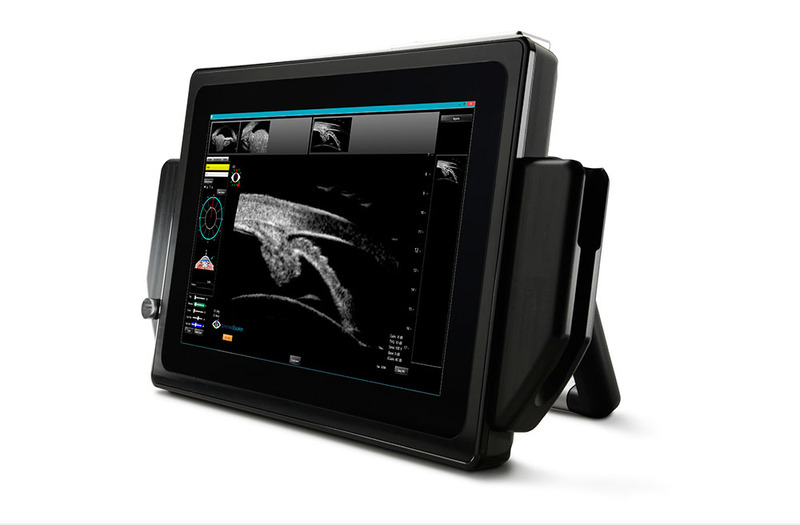 Even when the physician operates the unit for the first time, intuitive operation is possible. In the event that automatic measurement is difficult, manual measurement is possible using an electric joystick. 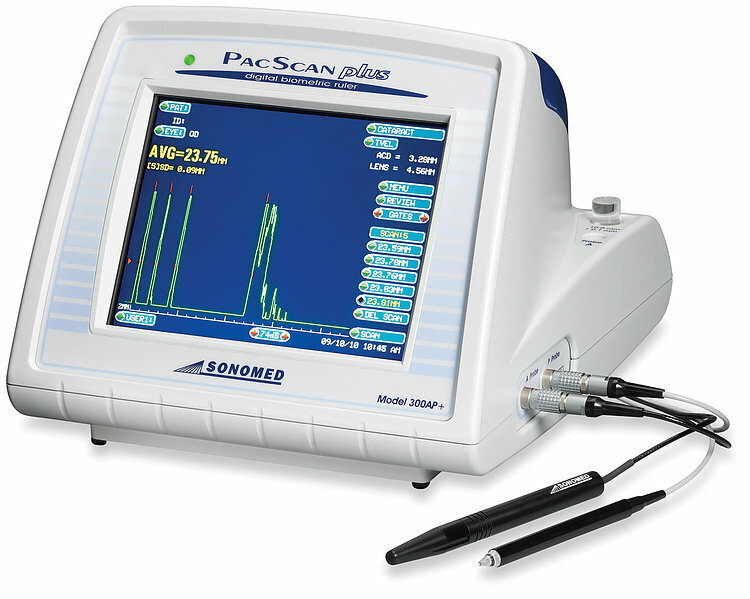 In cases where optical measurement is difficult due to blood in the eyes or other issues, the OA-2000 can be connected wirelessly to the ultrasonic axial length measurement unit AL-4000. IOL power calculation, data storage and other operations can be performed on the main unit of the OA-2000. 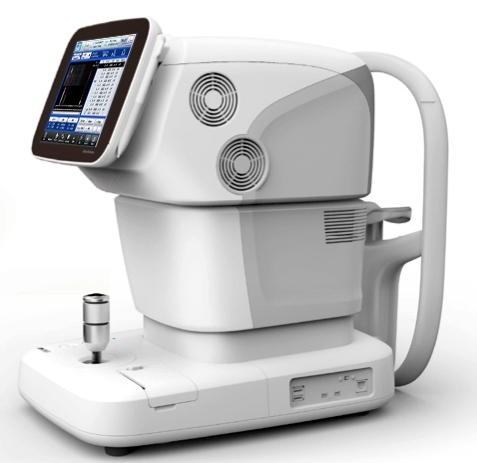 Up to seven sets of measurement data, such as the corneal thickness and anterior chamber depth in addition to the axial length and corneal curvature, can be obtained in one shot time.A series of operations from th examination before cataract surgery to the management after surgery can be performed with one OA-2000, including IOL power calculation, post-surgery data storage, A-constant optimization, and statical processing.